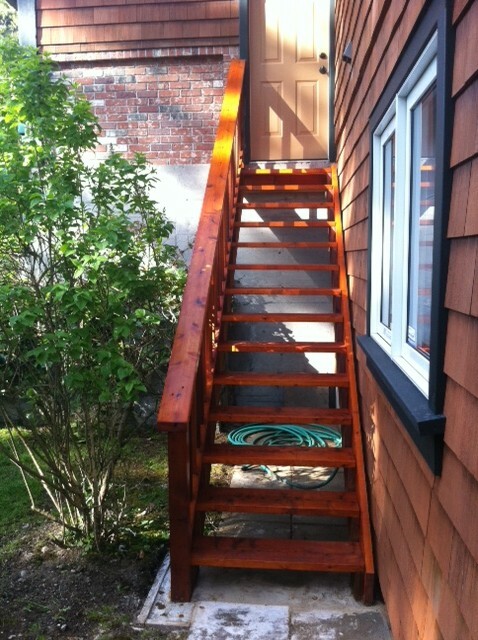 This project was all about the stairs. As we all know, rotten stairs can be very dangerous. 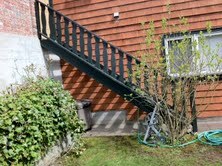 In this case, there was rot spreading on these stairs so we removed all the old stairs, including the wood stair railings. 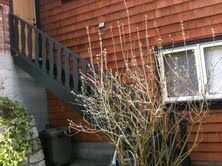 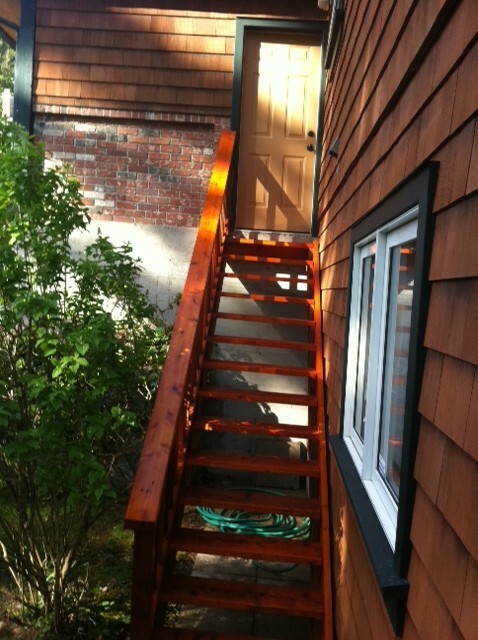 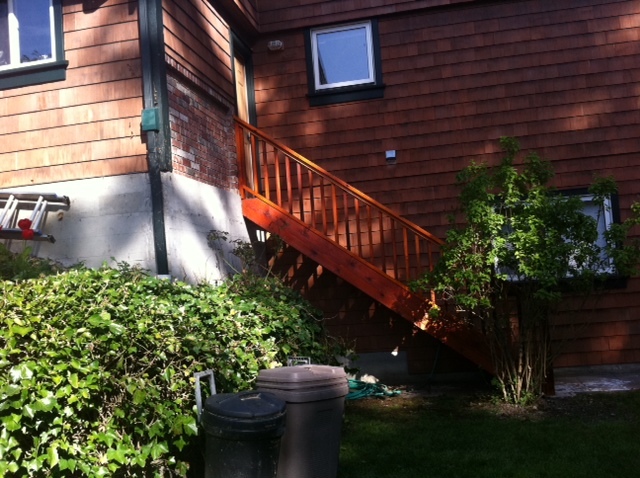 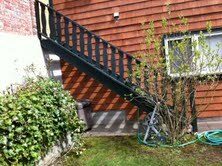 We then rebuilt new stairs and a new wood stair railing with clear finished cedar. 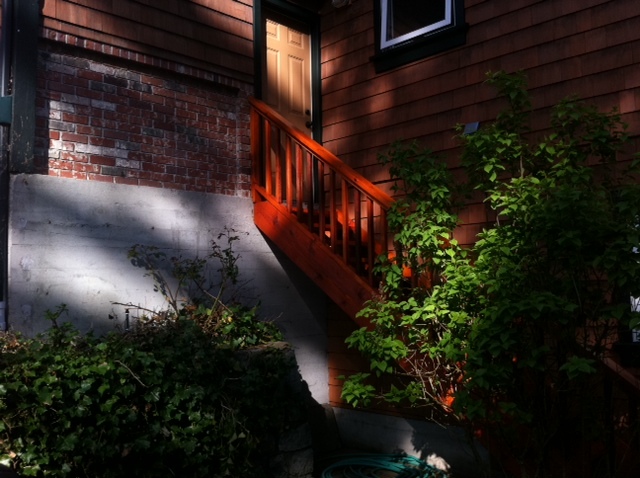 We then stained them a nice, rich, Brazilian Rosewood.